I have been moderately obsessed with Pueblan tacos árabes since I first heard about them late last year – cousins of the al pastor taco, the arab taco is also made from marinated pork with grilled onions and spices, and ideally roasted on a vertical spit. The chopped meat is served on a big and preferably handmade tortilla. 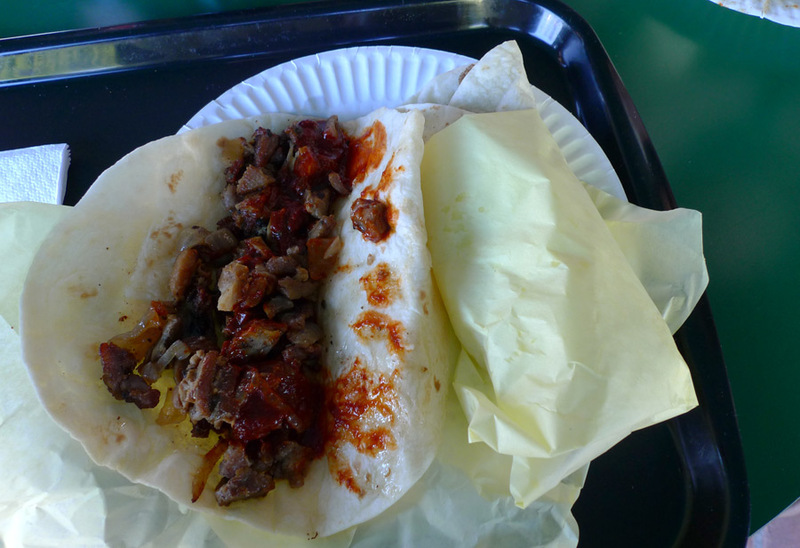 Unlike conventional tacos, the tortilla is flour, and raw onions, cilantro and salsa are not part of the plan, but there is a heavy provision of a smoky, barbecue-like chipotle sauce. 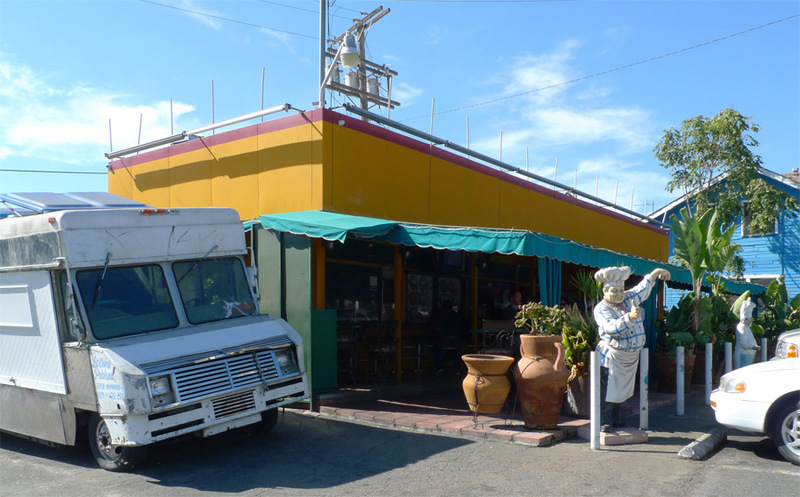 The tacos árabes at La China Poblana are the best I have tried yet. Oh man, the pork was tender and flavorful and the smoky chipotle sauce made my head swim. I was self-conscious of my own human pleasure as I ate them. The environs contribute to the pleasure, as the entire dining area is an indoor-outdoor hybrid space. The place has a distinctly informal character. Don’t be creeped out by the chef in the photo – it’s just a statue.